Whether you want to flex your credit card or just do a little window shopping, London is a shopper’s paradise. 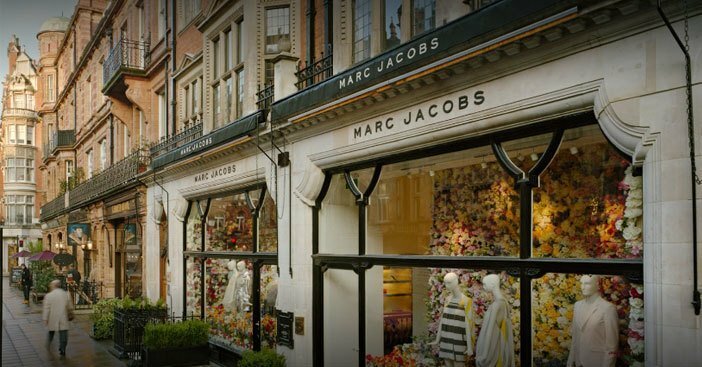 Recognized internationally as one of the world’s most important fashion capitals, London is jam-packed with designer shops, luxury department stores, exclusive shopping streets and famous markets. 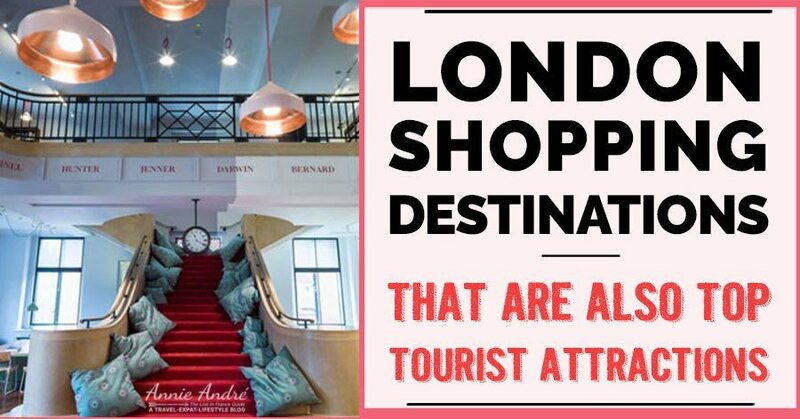 Here are 11 recommended shopping destinations who, with the exception of Borough Market, are all conveniently located within walking distance of each other. New Bond Street is an 800-metre long street in London which links Piccadilly to the famous Oxford Street. In 2017, New Bond Street stole the first place prize from the Champs Elysées in Paris as the most expensive and sought-after strip of real estate for retailers in Europe. Rents average $1,179 USD per square foot per year on New Bond Street. 18 of France’s most popular shopping streets for shopaholics. Even if you can’t afford it, it’s worth a trip to window shop. And if you’re looking for someplace to stay in London, The Montcalm London Marble Arch is an adorable boutique hotel that always gets top reviews. 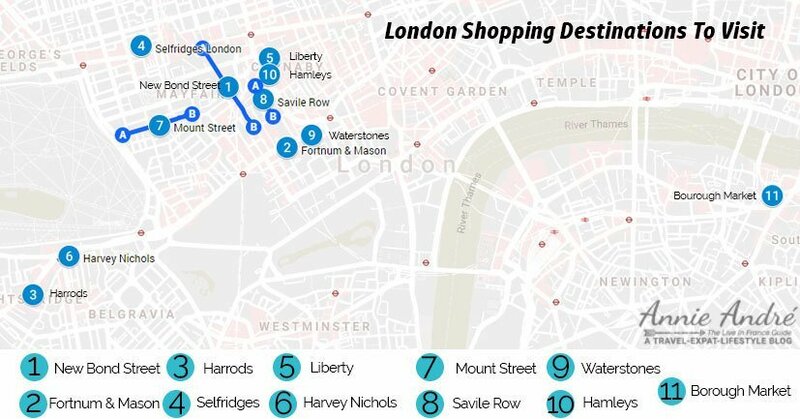 It’s also conveniently located just a few minutes walk from Bond Street and most of the other shopping destinations on this list, making it the ideal base dedicated to shopping and sightseeing. 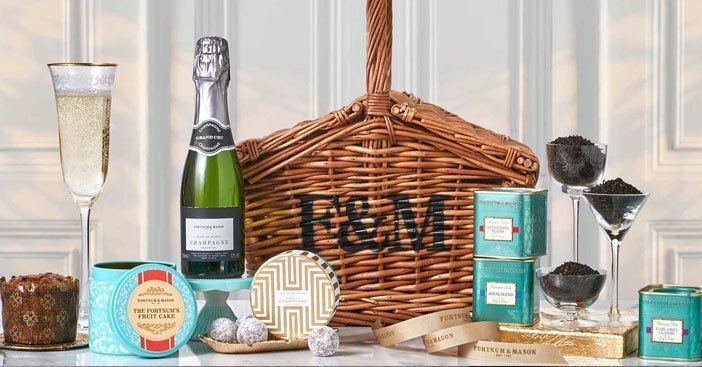 Known as the best grocery store in England and the official grocer to the royal family for over a century, Fortnum & Mason or Fortnum’s, as it’s known in the UK was founded in 1707 as a small grocery store selling quality and exotic foods. During the Victorian era, it grew and expanded to include homeware, beauty products, clothing and accessories to become what some people say is the worlds first department store. The Fortnum logo and iconic turquoise packaging is known by everyone in the UK and is somewhat of a status symbol. Be sure to check out their hampers which are some of the best in the world and their impressive tea selection. Charles Henry Harrod founded Harrods in 1849 as a humble grocery store much like Fortnum & Mason. 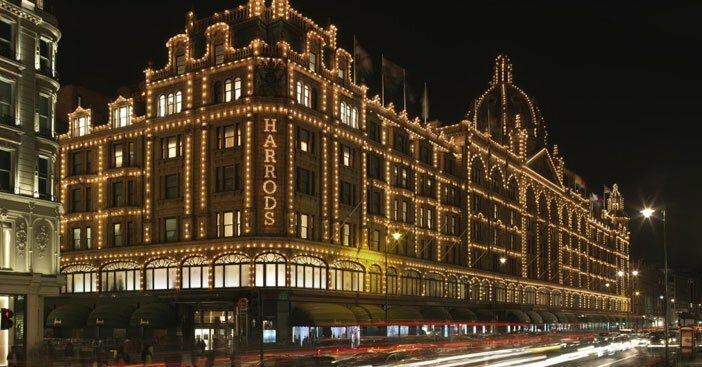 Today Harrods is the largest department store in the UK and represents the height of British luxury. As the largest most well-known department store in the UK, Harrods boasts over 1 million square feet of retail space spread over 7 floors and over 330 departments that showcase the best luxury merchandise, from high-end fashion and accessories to the finest homewares and latest technology. There is an acclaimed food hall with nearly 30 restaurants, toy kingdom for the kids, an Ice cream parlour, a donut shop and more. Wealthy Egyptian born Al Fayad, who once owned Harrods put a lot of his own personal touches into the building such as the Egyptian elevator and glittering Egyptian room which is adorned with several busts of himself. Following the death of Mr. Al Fayad’s son Dodi and Princess Diana in a car crash in Paris, he also created a memorial to the couple in the store. Plan on spending the whole day, and braving the overwhelming crowds of people. Founded in 1908 by Harry Gordon Selfridge, Selfridges’ flagship store located on the famous Oxford Street is another high-end department store in London—the second largest department store in the UK after Harrods. 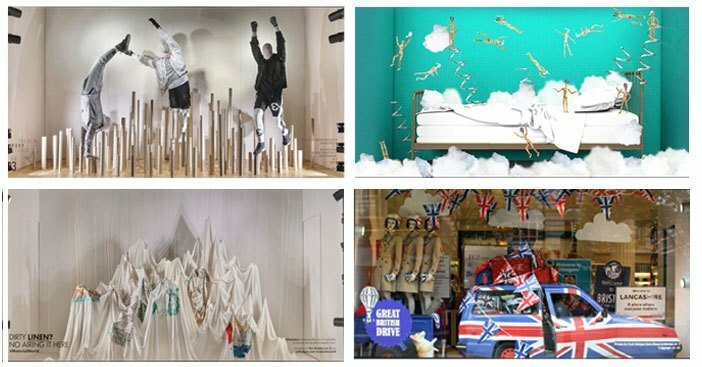 If you’ve ever caught an episode of the TV drama Mr. Selfridge (which I love), you know all about how this American born businessman revolutionized British shopping and invented intricate and artistic window displays that all department stores now have adopted. 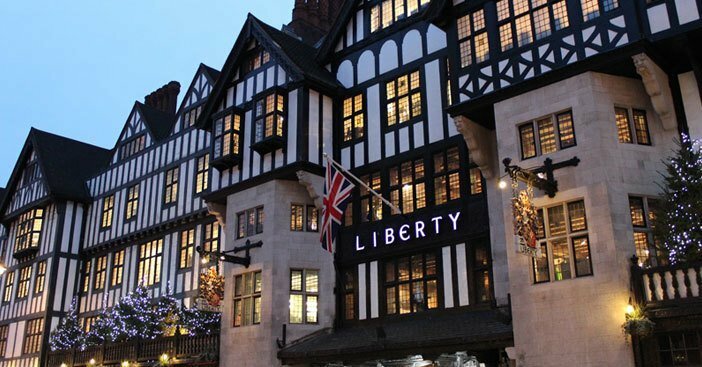 Liberty department store, founded in 1875 by Arthur Lasenby Liberty, is one of London’s most traditional looking department stores—done in the mock Tudor style, known also as half-timbered or colombage in French. When it originally opened, it sold ornaments, fabric and art objects ffromJapan and the East. Today Liberty sells luxury goods including men’s, women’s and children’s fashion, cosmetics and fragrances, jewellery, accessories, homeware, furniture, stationery and gifts. Located at Great Marlborough Street in the West End of London. Founded in 1831 by Benjamin Harvey, Harvey Nicols was originally opened as a linen shop but expanded over the years to become an upscale department store. 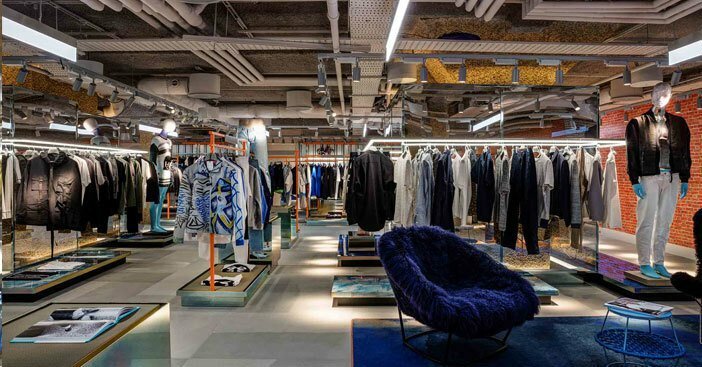 Located just a few blocks from Harrods, some might say that Harvey Nichols is the younger more fashionable version of the two. Princess Diana often frequented the 5th-floor restaurant. 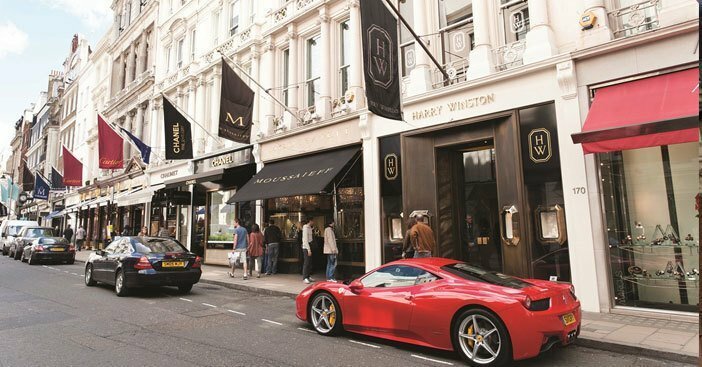 Not to be missed when visiting London is Mount Street in London’s affluent Mayfair district. The street is an aspiring mix of old world charm and 21st-century niche, luxury, beauty, fashion, art, antiques and exclusive restaurants and gives Bond street a run for London’s luxury retail supremacy. Prestigious brands that call Mount street home include Balenciaga London, Lanvin Ladies Boutique, Goyard, Moynat, Marc Jacobs, Oscar de la Renta, Stephen Webster (jeweller shop), niche retailers like antique and cigar shops. There’s even a Porsche showroom. If you’re interested in getting something tailored then head over to Saville Row. A short little street which has become synonymous with good tailoring. Henry Poole & Co who is credited as being the founder of Saville Row and its reputation as THE PLACE FOR BESPOKE TAILORING is also credited with creating the modern Tuxedo in 1864. The shop still exists at No.15! Bespoke tailoring: clothing cut from a pattern drafted from scratch for the customer. 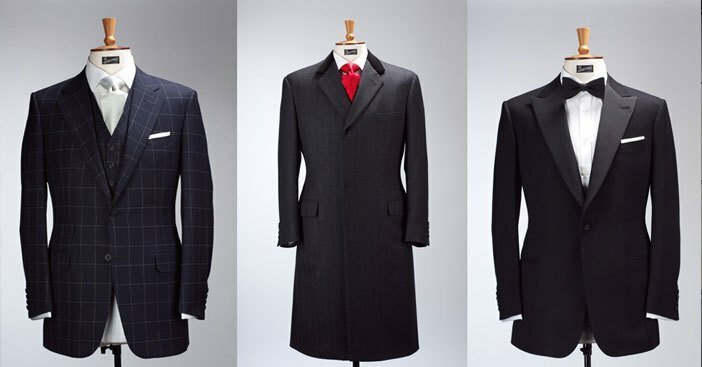 Think of bespoke tailoring as the opposite of off the rack ready to wear suits. The street is so legendary for the quality of its tailoring that the Japanese word for a three-piece business suit is “Sabiro” which is a Japanified way of saying “Savile Row”. Waterstones is a British book retailer with over 200 retail outlets. 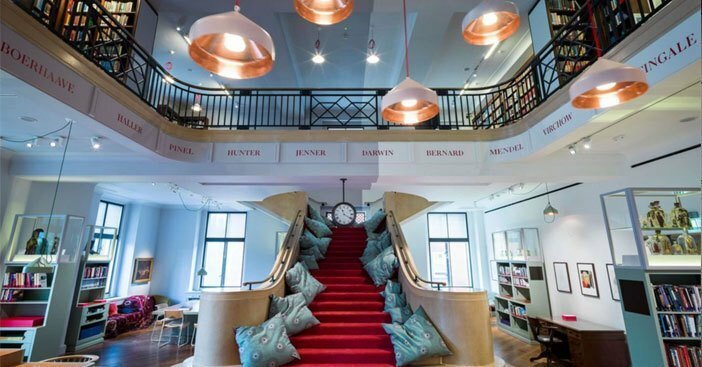 The Waterstones flagship building at Piccadilly is the store to visit though. Be prepared to spend the whole day here because the book selection can’t be beaten and the location is huge. It’s literally an 8 story department store of books —the largest bookstore in Europe. There are comfortable sofas, an excellent restaurant & café on the 5th floor open for breakfast lunch and dinner. You can even enjoy a glass of wine and settle down with a good book. 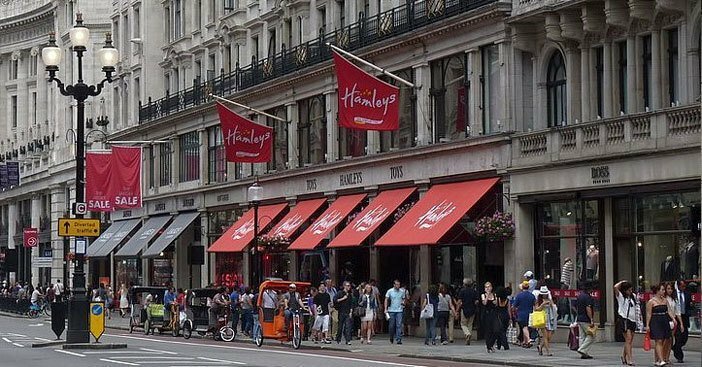 If there was a paradise on earth for kids, it would probably be Hamley’s—the oldest, largest and best known toy shop in the world. This place makes Toys R Us look like a dump. Set over 7 floors, it’s considered one of the cities top tourist attractions. Entering the store, you will be amazed. There is so much going on, on every floor. There are wonderful toy displays, live toy demonstrations by the staff which is renowned for their fun friendly demeanor. There are also themed areas like the Harry Potter themed area on the lower floor. What else would you expect from the best toy shop in the world!! Get there early, the shop fills up fast. And be prepared to spend a lot of money. Most travellers complain that this store is extremely expensive. 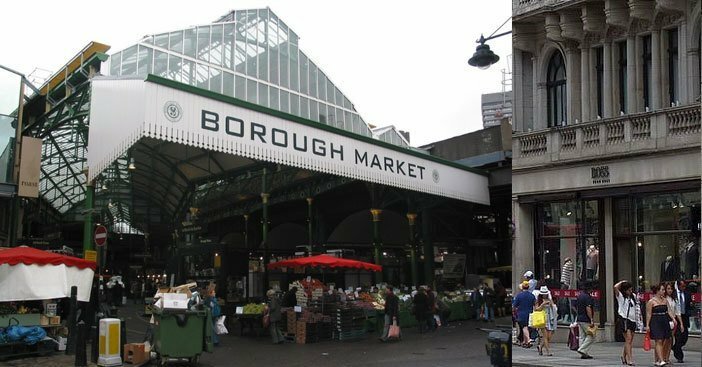 This bustling covered market located next to the London Bridge is London’s most renowned and oldest food market, dating back to the 12th century. A visit to the market is like taking a culinary trip around the world. With its fascinating maze of stands, stalls and carts selling anything and everything from all four corners of the earth. From Spanish Tapas and spicy Thai Curry to favourite local dishes, you can’t go wrong here. There is no smoking allowed and no dogs allowed with the exception of seeing eye dogs. Hours of Operation: Open Monday to Saturday 10 am to 5 pm. On Fridays ,shops close at 6pm. (closed on public holidays). On Monday and Tuesday, not all of the traders are present, but still plenty of choices.